What sets a business apart from others often stems from the location in which they searched for commercial real estate listings. Columbus, Ohio is a diverse city with a variety of areas that appeal to a wide range of people. As a result, choosing the area that is best suited for your business takes careful consideration. Though choosing may seem easy enough, as there are a lot of great locations to choose from within the Columbus metro area, it takes a lot of research due diligence to decide on a location that is the most ideal for your business. Below are a few questions that you should ask yourself, in regards to location, before beginning to search for the future home of your business. The first question you should consider is, “What sort of clientele does my business seek to attract?” This question should seem obvious, but oftentimes, the answers are far too broad. Think about what type of business you have and who your target customers are. It would, undoubtedly, be nice to have an array of people, including different age ranges, incomes, styles, etc., patronizing your business; however, in reality, certain locations appeal to certain demographic groups. When it comes to commercial real estate in Columbus, Ohio there are various areas and districts; depending on what your business offers, you’re going to want to focus on the location that best caters to your preferred demographic. For example, a law office in the Short North is not going to perform as well as an office in Downtown Columbus, near the statehouse. A trendy nightclub is better suited in the University District, than German Village. An upscale art gallery would fit well in the Short North, but not so well in the Arena district. Just as an upscale café would also fit in nicely in the Short North or in Downtown, near the capital building. As the old saying goes, “location, location, location” — they are the three most important aspects about searching for commercial real estate listings. Columbus, Ohio has plenty of locations to choose from. In fact, there are many excellent commercial real estate opportunities available at any given time. In regards to location, also consider convenience not only for your customers, but also your employees. How close do you need your business to be from major intersections or highways; how about public transportation? Additionally, will you need to use certain outside decorations or signage on your property; if so, is it permitted in the area that you’re considering? These are just some of the important points that you need to think about before you begin researching commercial real estate listings. The next question that you should consider, “How much can I afford?” It may seem crass to bring up, but far too often, people shoot for places in which they can’t afford; doing so causes a lot of wasted time when searching for commercial real estate listings. Columbus, Ohio is quite a large city, and there are plenty of areas for you to build your business. In fact, even if it isn’t located in, say, the High Five area, the location that you choose will likely stilll be wonderful and meet your needs. Similarly, it’s important not to presume that expensive areas are always the most ideal locations. In many cases, the place you end up liking will not necessarily be the most costly. Finally, you should be asking yourself, “Will the commercial real estate in this location involve any extra expenses, as opposed to other locations?” People often forget that when it comes to looking at the price of commercial real estate listings, Columbus, Ohio is a major city; and therefore, there are a number of added expenses that wouldn’t necessarily be the case in the suburbs. This is not to discourage people from setting up businesses in the city, though. And the added benefit of city life and a city-based clientele typically makes up for the added costs over time. However, for initial startup, it’s important to know that you’re not just spending money on the property; there are other financial considerations that need to be addressed. One expense that is not always factored into the budget is an inspection. While researching, be sure to factor in the cost of an inspection when you’re looking at the price tags of the commercial real estate listings. Columbus, Ohio has a number of laws regarding health, fire, and safety regulations. Knowing what to expect is not always easy, especially since the laws can be complicated if you’re not experienced in this area. That’s why it’s extremely important to find a good, quality commercial real estate inspector that you can trust. They will be able to tell you exactly what would need to be fixed or updated should you decide to purchase the commercial property. Doing so will ensure that you’re getting the best quality building or storefront that you can get, while also having a realistic understanding of the expenses involved. An inspection report may also give you some leverage when negitiating the price of the property. Consider contacting a local Columbus, Ohio commercial real estate agent. 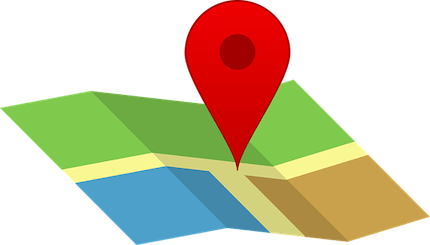 While it’s possible to find ideal locations without one, it can be extremely time consuming and difficult. A good agent can help you navigate the process of finding commercial real estate listings. Columbus, Ohio has several excellent commercial real estate agents who can access listings that the general public can’t, provide a realistic idea as to how much you should expect to pay, and guide you through the entire process of purchasing a new property for your business. A quality commercial real estate agent is absolutely invaluable to getting a good start with your new business location. Ready to Search the Commercial Real Estate Listings Columbus, Ohio Has to Offer? Being in the market for commercial real estate, Columbus, Ohio certainly has multiple options for you. In a traditional city like this, commercial real estate is especially popular. However, how do you go about actually finding properties? It’s not 2002 anymore, when you could have just driven around looking for “For Sale” signs and then strike a reasonable bargain with the owner. Nowadays, buying Columbus real estate is much more complex. However, there are a number of ways to go about searching for Columbus, Ohio real estate listings. Today, 88% of property searches begin on the Internet (according to the National Association of Realtors). There’s a good reason for that: you can look at hundreds or thousands of properties at your leisure without ever having to risk the high pressure sales tactics favored by far too many commercial real estate agents these days. Of course, you need to make sure that you’re searching in the right locations for the commercial real estate listings Columbus, Ohio has to offer. When you feel that you’ve determined exactly what you would like out of your property, the next step is to contact a real estate agent. The Robert Weiler Company has 80 years of experience in navigating the often shaky waters of purchasing commercial real estate. Columbus, Ohio is no different from any other place else in that regard. We can ensure that the process of buying or selling commercial properties is quick, easy, and doesn’t interfere with your business. We have a no-pressure approach to our clients. Our goal is to not only find properties for our clients that check off every box of their wish list; we also strive to obtain the highest ROI for our clients. Our commercial brokers utilize some of the best CRE tools available in the country. However, if you’d like to search through our available properties on your own, you can do so directly on our website, through our commercial property search tool. If you see a commercial property for sale that interests you, simply contact us when you’re ready to learn more about it and take the next step. It’s not easy to find the perfect place for you and your business, but we can certainly help. We want to make sure that you have access to the best information and advice; and we would like to help guide you without pressuring you. Investing in commercial real estate, whether it’s to begin or expand a business, is not something that is taken lightly. You should have the best resources available to make sure that you choose the perfect property among the many commercial real estate listings Columbus, Ohio offers you. The Robert Weiler Company can help you find it! Call us today to get started: 614-221-4286.